RIDDELLS Creek Primary School paid tribute last Friday to student Lily De Haas who passed away from a brain tumour. Opening a new outdoor inclusive learning space and sensory garden, the school community made a garden entrance in memory of Lily. Member for Macedon Mary-Anne Thomas visited the primary school alongside Catherine Andrews, wife of Premier Daniel Andrews, to celebrate the opening with the students and pay tribute to Lily. Lily’s family, including parents Simone and Chris and siblings Brianna and Joel, were also present for the occasion and cut the ribbon to formally open the garden. 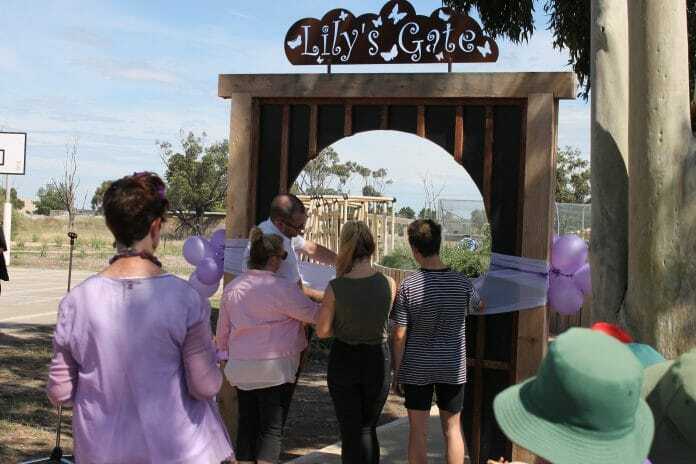 Riddells Creek Primary School Principal Kim Ryan said the development of the garden was in parallel with Lily’s illness and, as the completion of the garden coincided with her death and funeral, the school community wanted to do something special in memory of Lily. 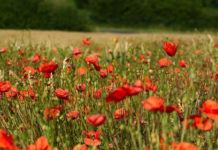 Ms Ryan also thanked Ms Thomas for advocating for the project, the Happy Gardeners led by Adrian Strano and Romsey Engineering. “We also wish to thank Romsey Engineering for making and donating the sign for Lily’s Gate, which we think is a perfect reflection of her whimsical and wonderful spirit,” she said. The recently completed space includes a wheelchair- accessible edible garden, a music garden, sensory play areas, quiet alcoves, a purpose built shed and veranda that provides a specific place for classes to gather. 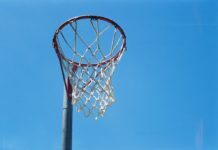 The $240,000 outdoor learning space was funded from the state government’s $20 million Inclusive Schools Fund. The primary school also held its purple day on Friday to support Relay For Life, raising close to $500. Last year Relay For Life generously donated all the funds towards Lily’s treatment and care.